Kedarnath is one of the most sacred destinations of the Char Dham Yatra. As per the religious beliefs, Kedarnath stands as one of the twelve jyotirlingas. The road route to the main temple of Kedarnath starts from Haridwar, heads toward Rishikesh then to Devprayag to Srinagar to Rudraprayag to Gaurikund. From there on the Kedarnath temple is just 14 kilometers away and this distance can be covered either by walking or getting a pony. An alternative to the road route is the helicopter ride. 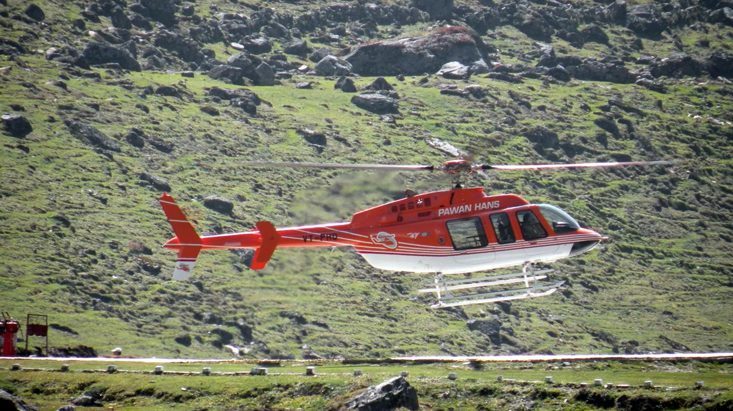 Considering the quite tough route to the temple, various companies have started rendering helicopter services to reach the main shrine of Kedarnath. Some of the names that offer Kedarnath Yatra by helicopter are stated below. # Sersi to Kedarnath (one way ticket). # Sersi to Kedarnath, back to Sersi (return ticket). # Kedarnath to Sersi (one way ticket). Mentioned above are the three top helicopter service provider companies; however, there are various others like UTair India Pvt. Ltd., Pinnacle Air Pvt. Ltd., Aryan Aviation Pvt. Ltd., Sar Aviation Services (P) Ltd., Summit Aviation P Ltd., JetTech Aviation and many more. With helicopter services it has become really easy to visit one of the chastest destinations. The above mentioned service providers also offer special Char Dham Yatra by helicopter, you can avail a package as per your requirement.